Canadian college and university campuses house over 2.5 million students a year. Canada’s environmental footprint is among the biggest in the world, fueling climate change and unprecedented wildlife loss. Imagine if we could invite these students to tackle Canada’s greatest sustainability challenges, no matter what field they are studying, and harness their desire to act? 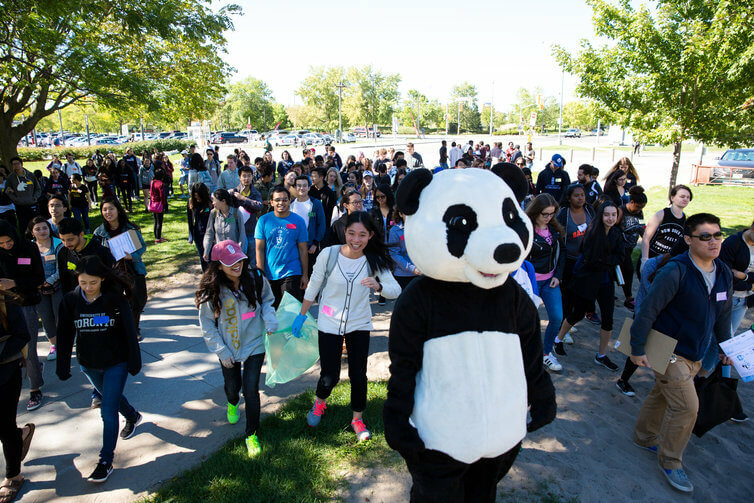 In September, WWF and HP Canada partnered to launch WWF Living Planet @ Campus to do just this. 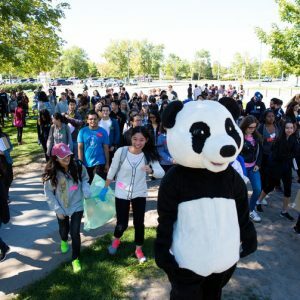 Developed in partnership with 11 Canadian post-secondary institutions, and championed by HP Canada, WWF Living Planet @ Campus was created in collaboration with students and sustainability experts. The program aims to enhance a culture of sustainability and promote the protection of nature by engaging post-secondary students in meaningful actions. These actions range from guidance on planting native species, to toolkits on how to run campus events like the Smart Campus Challenge, that look to reduce the environmental impact of common technology. With WWF’s Living Planet Report Canada finding that over 50 per cent of Canada’s species are in serious decline, it’s no surprise that we need the next generation of leaders to step up. By learning about and participating in conservation work from shoreline cleanups to saving energy and reducing waste, students can and will drive meaningful change on their campuses and take that knowledge with them into their personal and professional lives. Living Planet @ Campus also creates a path for committed volunteers to gain formal recognition of their work through the WWF Living Planet Leader certification. It recognizes the skills students amass while studying for a professional career that demonstrates an understanding and commitment to sustainability. To qualify, students must participate in campus, community or global volunteerism, showcase both personal and academic applications of sustainability as well as demonstrate skills of leadership and teamwork. At HP Canada, we actively seek out talent with the skills to take on sustainability challenges and opportunities in any role across the organization, from marketing to supply chain. Not only do we hire this way, we also train existing employees. Over 10 years ago, HP Canada launched employee sustainability training to arm all staff with the skills to engage in sustainable business and workplace practices. With our goal to enable better learning outcomes by 100 million people by 2025, it’s all part of our journey as Canada’s most sustainable technology company. 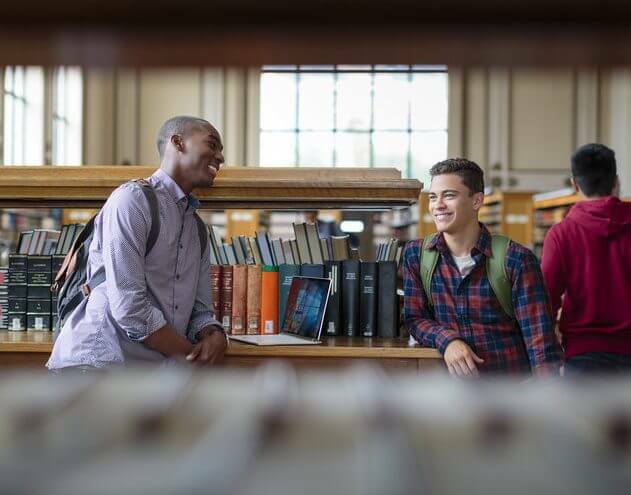 HP Canada and WWF-Canada are a leading example of the power of partnerships to inspire change amongst 2.5 million post-secondary students and 280 post-secondary institutions across the country. But we can’t do it alone. It’s up to businesses to change the lens they use to evaluate new graduates and for students to start taking action now. Living Planet @ Campus is one way to they can gain an edge and make a difference for the planet. Those that don’t will be left behind in the green economy.